Michael Saunders’ revamped website is generating more visits, leads and higher conversions than its previous site. A panel of 70 brokerage chief marketing and chief technology officers voted it the nation’s best overall brokerage site. They also named top sites in seven other categories. Best brokerage sites demonstrate how brokers can also thrive in real estate’s online revolution. Last year, Florida real estate brokerage Michael Saunders & Company decided to give its website a spitshine. Now it looks good and moves quickly — and, more importantly, it’s getting results. The revamp, which was completed last August, improved the site’s mobile design and beefed up its storytelling around the distinct communities and lifestyles that shine in its Sarasota market. The site’s visitor numbers jumped 45 percent, page views shot up 38 percent, and both lead counts and conversion rates have swelled since last August, according to David Gumpper, Michael Saunders’ director of information systems, who guided the overhaul. The polish didn’t go unnoticed. A panel of 70 brokerage chief marketing and chief technology officers recently voted it the nation’s best real estate brokerage website as part of a survey conducted by real estate consulting firm Real Trends. Five tech experts whittled down 750 submissions to the top 25, which the judges then voted on. An average of 70,000 visitors come to Michael Saunders’ site each month. “A picture’s worth a thousand words,” Gumpper said of the 630-agent firm’s focus on beautiful imagery for the site, particularly its revamped neighborhood and lifestyle sections. Words play a role, too. Each neighborhood section features its own unique copy. Real estate marketing and design firm 1000watt designed the site, and Michael Saunders built it in-house with the help of its three full-time developers. This design and tech may cost a pretty penny, but the investment has been good for the firm’s bottom line, Gumpper said. The brokerage earns higher splits from agents for the leads it sends them through its site, so an increase in volume and conversions directly contributes to the firm’s bottom line. 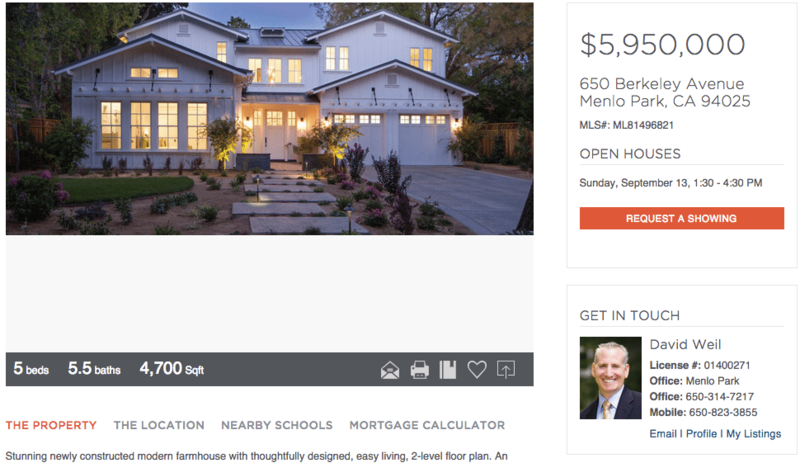 As venture capital-backed real estate tech companies such as Zillow Group, realtor.com operator Move Inc. and Redfin seize real estate audience market share with millions of marketing bucks and forge ever more seamless designs and features, sites like Michael Saunders’ (and those below) show that brokers can thrive, too, in real estate’s online revolution. Brokers can thrive, too, in real estate’s online revolution. Real Trends judges named four runners-up in the “overall” category: Michael Saunders & Company, Realty Austin, Climb Real Estate, Pacific Union International and William Pitt/Julia B Fee Sotheby’s International Realty. Winners and runners-up were also named in seven additional categories, including best overall design, best mobile site and best neighborhood pages. See each category’s winners and runners-up below. Screenshot of William Pitt/Julia B Fee Sotheby’s International Realty’s home page. Screenshot of mobile version of Michael Saunders & Company’s site. 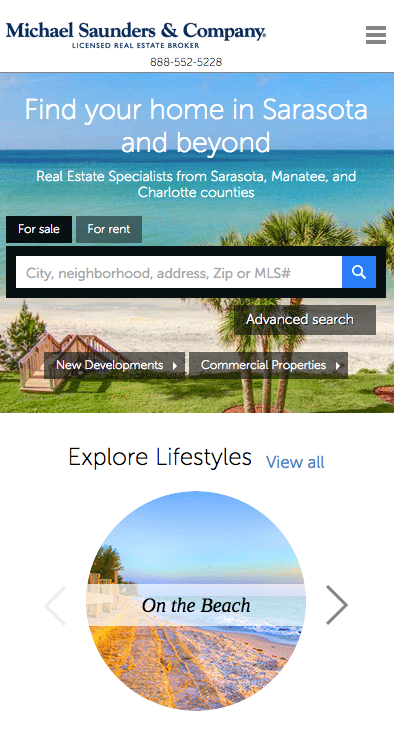 Screenshot of Climb Real Estate’s neighborhood landing page. Screenshot of Pacific Union International property detail page. 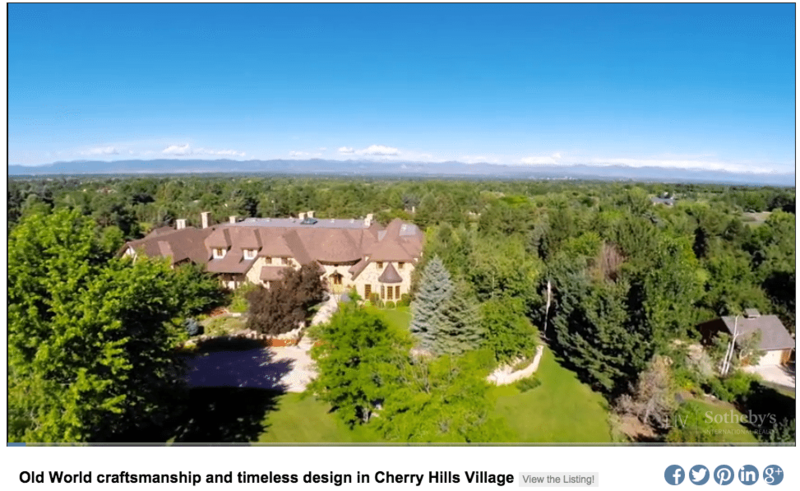 Screenshot of a property video on Liv Sotheby’s video landing page. Screenshot of Realty Austin’s home page. Screenshot of Smith & Associates map search page.